Commander Cody and His Lost Planet Airmen might seem to be a bit of a stretch for Exposé, but considering in the early 70s there was a considerable amount of experimentation with different genres as the psychedelic scene was fading and the Grateful Dead and spin-offs were on the rise, you can make the argument that Commander Cody is tangentially relevant to Exposé. The Grateful Dead had released American Beauty in 1970 and The New Riders of the Purple Sage released their debut album in 1971. So naturally I also checked out this new band Commander Cody and His Lost Planet Airmen and their debut Lost in the Ozone, an interesting mix of C&W, swing, and rock, but an album I’ve not listened to for decades. 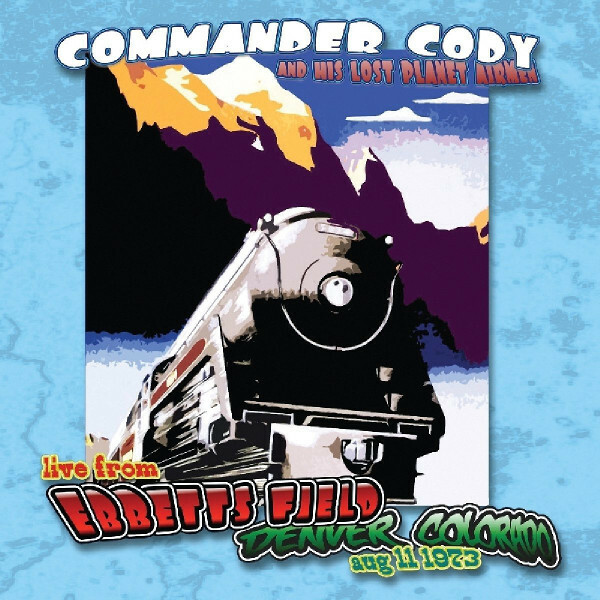 Now Rock Beat has unearthed a live performance of the band from the first Commander Cody tour in 1973 when the band hit Denver. They played at a club called Ebbett’s Field that was set up like a ballpark with seating on the walls. The club was packed and a radio team broadcast the performance locally, as well as recording it. In the early 70s, Commander Cody and His Lost Planet Airmen were called the best live band in the world, and that is in evidence on this archived recording. They immediately blew the roof off the house with the opening rockabilly “Good Rockin’.” They played a couple of tunes from Lost in the Ozone, the Texas swing beer drinking song “What’s the Matter Now” and the drowning your sorrows “Wine Do Your Stuff.” The other 18 songs include several boogie woogie tunes featuring Commander Cody on piano, Western swing, Texas road house rock, an Outlaw country tune, more rockabilly including a cover of Buddy Holly’s “Rave On,” West coast swing, an energetic Cajun fiddle cover of “Diggy Liggy,” and a cowboy song “Sunset on the Sage” to close the concert. Certainly a change of pace for what we normally cover here, but definitely a fun, good-times snapshot in time for those interested in country counter culture from the 70s.